PHILADELPHIA (WPVI) -- Philadelphia Phillies fans can take Uber to Friday's Home Opener for just $2.15. The flat fares apply only for uberPOOL trips to and from Citizens Bank Park, beginning or ending in Philadelphia County on Friday, April 7 from 1 p.m. to 8 p.m.
"For the Home Opener, you can ride in the 215 for just $2.15 when you take uberPOOL -- you may even meet some fellow Phanatics along the way!" Brian Hughes, General Manager for Uber Philadelphia, said in a statement. 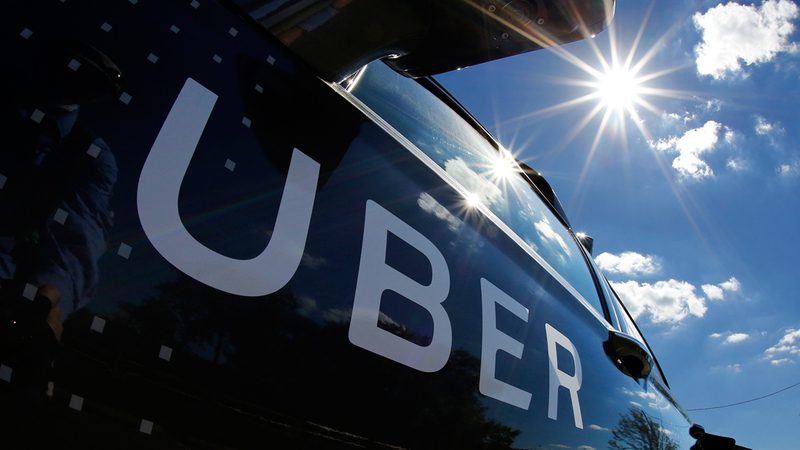 The Phillies and Uber announced their new partnership Wednesday. "Thanks to Uber, fans have another great option to get to the ballpark on Opening Day," David Buck, Phillies Senior Vice President, Marketing and Advertising Sales said. "The $2.15 uberPOOL is an affordable and easy way to get to all the fan-festivities that surround our first home game of the season." The partnership includes both Uber and Phillies promoting one another throughout the season through first pitches and ballpark signage. The Phillies also say some Uber riders may have the chance to ride with the Phillie Phanatic later in the season. The Phillies meet the Washington Nationals in their Home Opening. Game time is 3:05 p.m.